Ultracourts has been constructing tennis courts since 1990. 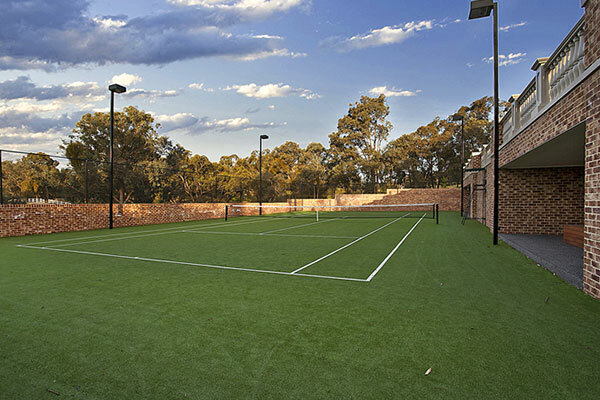 It’s this experience & strive for perfection that makes us Australia’s Premier Tennis Court Builder. 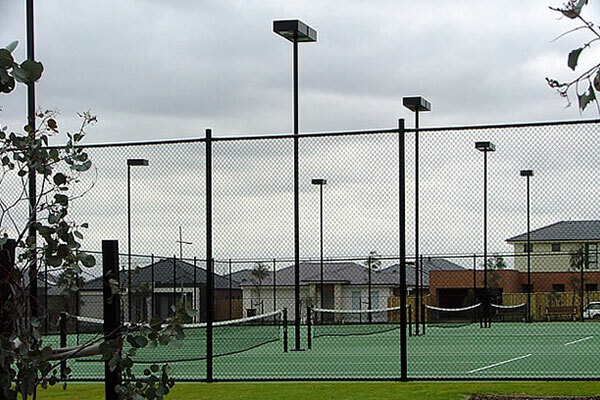 Each tennis court is lovingly designed, constructed & tailored to the exact specifications of our client’s requirements. As a result, quality, impact and of course cost effectiveness is always front of mind. A tennis court is a prestigious investment in your home, your lifestyle and similarly your family’s health and wellbeing. 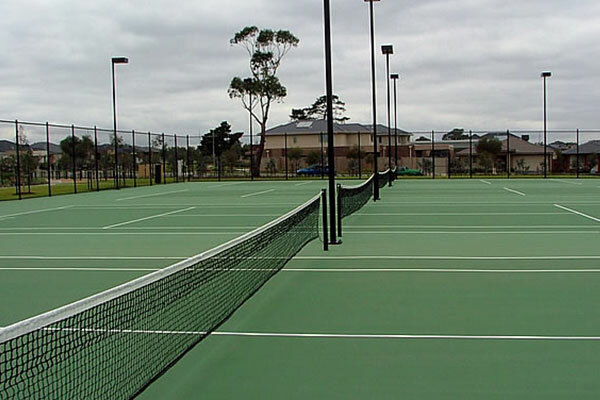 There are many things to consider when choosing your tennis court surface. These include maintenance, resilience, usage, environment and of course budget. 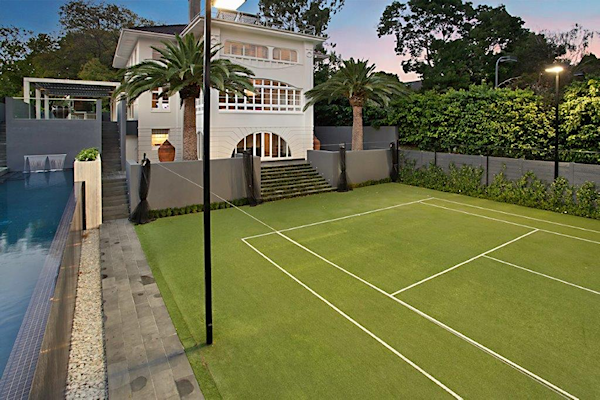 Acrylic tennis courts are an exceptional answer to many questions asked by our clients. At Ultracourts, our experts are more than happy to advise and work with you on the perfect solution to suit your individual needs. 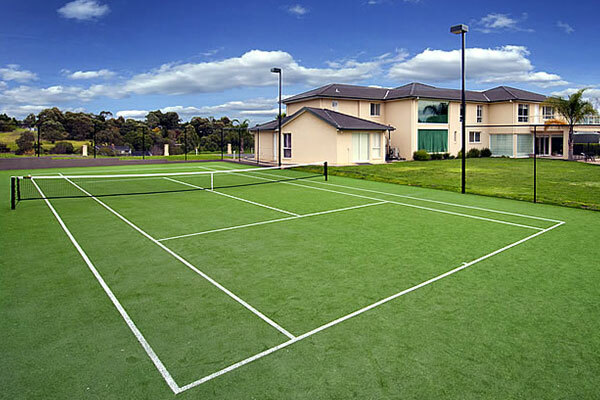 Ultracourts are the experts in synthetic grass tennis court surfaces and can help guide you throughout your entire journey when building a tennis court. From your initial design and planning through construction and even ongoing maintenance, we can help you every step of the way. Ultracourts can also help with a variety of Tennis Court Accessories and Equipment to make the most of out your new tennis court. 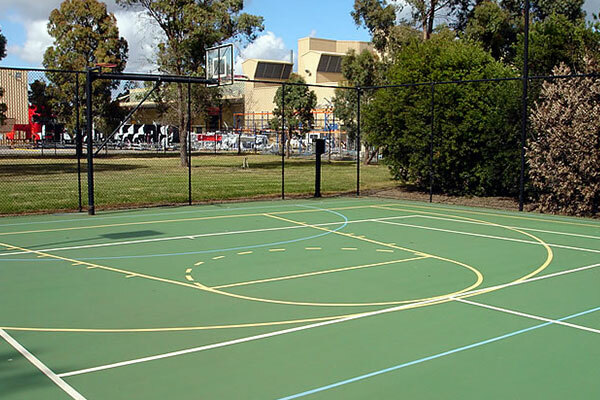 From Draw Curtains to Soccer Goals and Basketball / Netball Hoops, we can make your tennis court a multipurpose space for a range of many different sports and activities increasing its value exponentially. If your existing Tennis Court needs a bit of a facelift, Ultracourts can help with our conversions and resurfacing services. Contact Us now to find out how easy it really is. Ultracourts can also arrange the selection and installation of any tennis court lighting that your tennis court may require. Choosing the correct lighting comes down to functionality as well as style and we are happy to help with a wide range of options to suit. 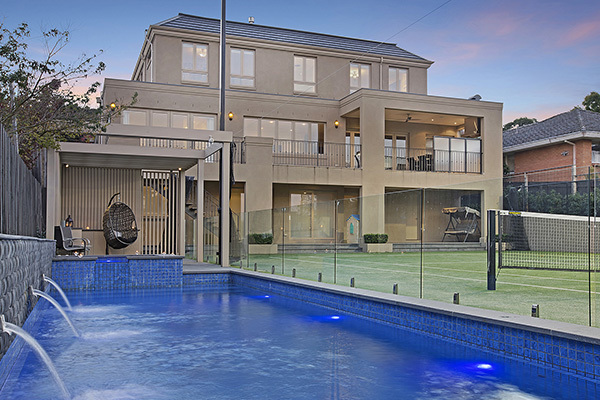 Transform your home into a resort with a Tennis Court & Swimming Pool combination. Both stunning and functional, your family and property value will thank you for making the intelligent choice to contact Ultracourts. The multipurpose surfaces can be used for sporting areas like volleyball and badminton nets, golf holes, rebound nets, practice walls, soccer goals and even integrated retaining walls you are only limited by your imagination. Ultracourts often work in conjunction with landscape artists to ensure the tennis court surrounds are as aesthetically pleasing as the court itself. 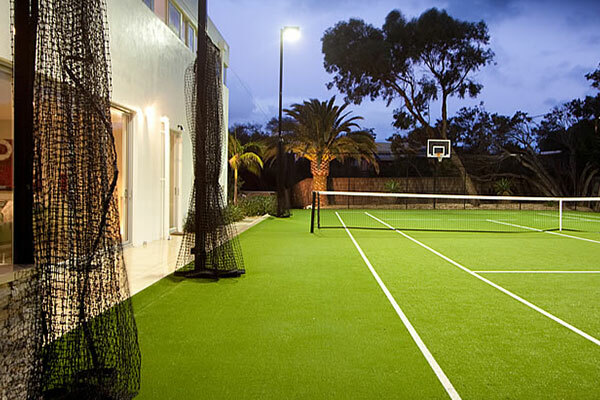 Ensuring your new tennis court ties in seamlessly with your existing outdoor entertainment areas, pathways, gardens and yard features is a breeze with Ultracourts. Ultracourts has been constructing tennis courts since 1990 and undertakes the construction of prestigious tennis courts individually tailored to meet the very exacting standards expected from those individuals who are investing substantially in a quality home investment, their lifestyle and importantly their family’s well being. 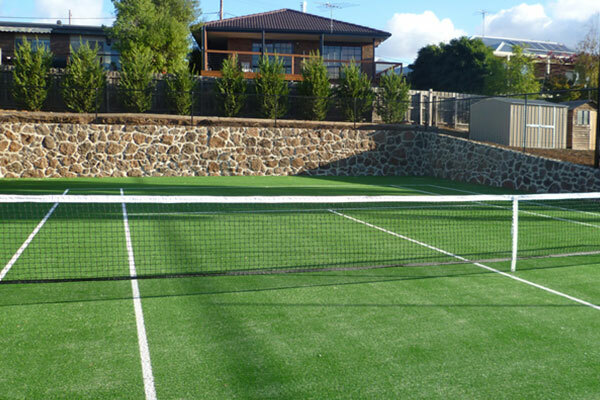 Ultracourts are experts in synthetic tennis court surfaces all over Melbourne for backyards, recreational facilities and private enterprises. Ultracourts can also arrange a variety of Tennis Court Accessories and Add Ons to make the most of out your new Tennis Court. From Draw Curtaintsto Soccer Goals and Netball Hoops, we can make your tennis court a multipurpose space for a range fo different sports. 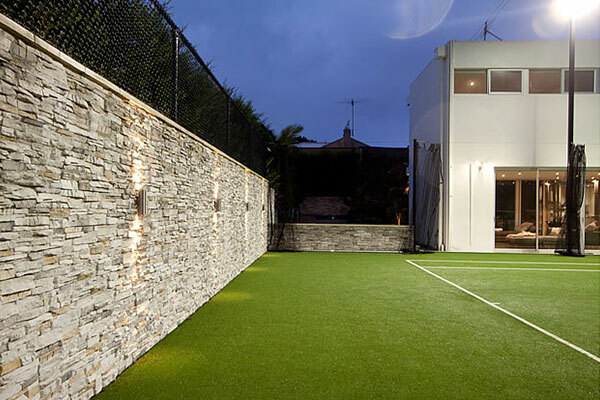 Ultracourts often work in conjuction with landscape artists to aesthetically address the surrounds of the tennis courts leading to their outdoor entertainment area, incorporating any special features of the tennis court.